Gaming on the go has never been easier. You can take your phone out of your pocket and play a super in-depth RPG, an arcade classic or just a quick game that takes only a couple of minutes to play. However, if you want to game on the go on something a little bigger you need a gaming tablet. I am looking at some of the best gaming tablets money can buy and letting you know what I think of each one. I price checked this ipad pro on the 20th April 2019 and found the best price for this iPad Pro here. Currently one of the most powerful gaming tablets on the market is the iPad Pro. Apple, as they do with their phones, have been fine-tuning the iPad for many years now and the most recent model the iPad Pro is their most impressive yet. One thing I want to mention about the iPad Pro is that Apple actually has a bit of variety with this. You can have it in a couple of different sizes one of which is 12 inches! Also, there are different colors and storage options for you to consider. What Makes The iPad Pro Awesome? This is the most powerful tablet Apple has ever made (well so far) it uses their A12X Bionic Chip which may sound like something that brought the 6 Million Dollar Man to life, but actually, it is what makes the iPad Pro so quick and able to handle so many tasks. As far as gaming goes, it means that the iPad Pro is actually very future proof when it comes to playing games. This means that while you can still play smaller games like Angry Birds, Crossy Road and so on. It also means that games like Ark, Fortnite and other graphically demanding games look and run as good if not better than on many PC’s. As a gaming tablet, the iPad Pro really does it all. Even if you get the larger 12 inch model, Apple has made sure that it is nice and light so it is comfortable for longer gaming sessions. Which thanks to the greatly improved battery you can do. I have had a couple older iPads (I still remember paying around 600 bucks for the iPad 3!) and the battery life when gaming along with the weight of it made it uncomfortable for longer gaming sessions. Apple has also finally stopped screwing around with the storage capacity and offer a ton of storage space even on the cheaper IPad Pro package. Another benefit of the iPad Pro is something that I have already mentioned and that is future proofing. This is going to be able to handle all the best mobile games for the foreseeable future. Also, the screen on this thing is amazing and will truly blow you away no matter if you are gaming or watching a movie on Netflix. If you want as close to a gaming PC experience as you can get on a tablet you need to check these out. I price checked this Yoga 720 on the 20th April 2019 and found the best price for the Yoga 720 here. I know that putting the Lenovo Yoga 720 on a list of best gaming tablets money can buy is kind of cheating. This is really half a tablet and half a laptop, but it is razor thin and you can use it just like a tablet if you like. One of the cool things about the most powerful model of the Lenovo Yoga 720 is that while it is fantastic for playing all of your favorite mobile games in very high quality. If you look around online you will see just how powerful this can be. You can actually see the Lenovo Yoga 720 playing games like Overwatch and Rocket League which is pretty amazing when you see how small and compact this thing is. Now you will not be playing games like this on the highest settings out of the box. 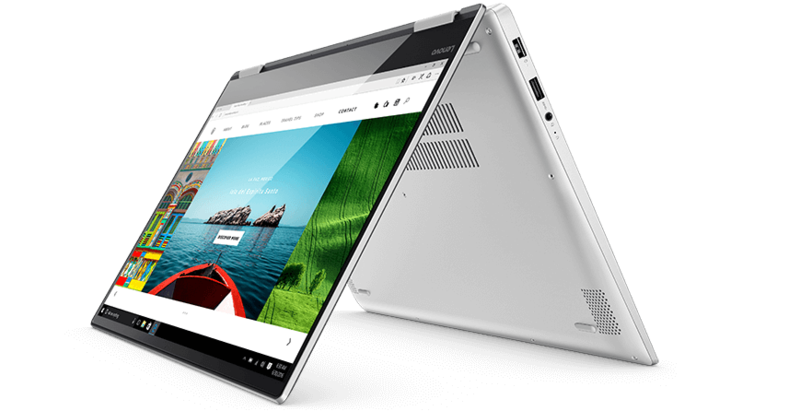 However if you want a gaming tablet that walks the fine line of offering what a tablet offers, but at the same time also giving you the convenience of a PC, I really think that you need to take a closer look at the Lenovo Yoga 720. I price checked this Microsoft Surface Pro on the 20th April 2019 and found the best price for the Microsoft Surface Pro here. There have been a few different versions of the Microsoft Surface Pro, but it is the most recent one, the Surface Pro 6 that has caught my attention. Microsoft is aiming to give you the accessibility of a tablet, but also all of what you get with a PC, but actually not just a regular PC, a gaming PC! That is what caught my attention with this and I have looked at many videos of some very demanding games playing on this such as Grand Theft Auto V which granted may not be played on the highest settings, but being able to play a game like GTA V on a device that is as thin as a magazine is pretty mind-blowing. You could argue that if you were going to spend this much money on a gaming laptop why not just buy a PC? I think that is a good argument, but the Microsoft Surface Pro 6 is one very impressive device. It has a nice and long battery life, it is capable of running some of the most demanding PC games and of course, if you are a Windows person you will fit right in with this, probably more so than with the iPad Pro in all honesty. If you want a device that lets you game, work and watch the Microsoft Surface Pro 6 is one of the best around. I price checked this Amazon Fire 10 on the 20th April 2019 and found the best price for the Amazon Fire 10 here. What if you want a gaming tablet, but you do not need one that can play Grand Theft Auto V or other high demanding games that a PC can? Do you want something that is going to let you play the latest and best mobile games, but at a more affordable price? Well, I think as far as budget gaming tablets go, the Amazon Fire 10 is a great device. You could buy around five or six of these for the price of one of the more powerful gaming tablets! The Amazon Fire 10 is a steal at the current price. Amazon support it very well and you can play most of the biggest mobile games on it right now and it actually handles them very well. It is very easy to use and as well as gaming it is great for those who want to surf the internet and watch movies and listen to music. If you want something that is affordable, well made and offers fun gaming on the go, you cannot go wrong with the Amazon Fire 10, also I think the screen quality on this is far better than people give it credit for. Didn’t I just talk about this? Well, that was the Microsoft Surface Pro 6 the latest, greatest and most expensive version of the Surface Pro. However, Microsoft has been making these for a while now and you can actually pick up one of the older models rather cheaply these days. I think this is worth looking at if you want some mobile gaming, but do not need to be playing the latest triple-A titles. One of the things that I have always liked about the Microsoft Surface Pro series is that you get the best of both worlds. You get the portability and ease of use of a tablet, but it is also a PC at the same time. This means that even the older models will be able to run some PC games. Of course, the model of Microsoft Surface Pro that you have will decide on the kind of games that you can play on it. If you can pick up an older version of the Microsoft Surface Pro cheap it could be a good way to dip in your toes and see if it is for you. 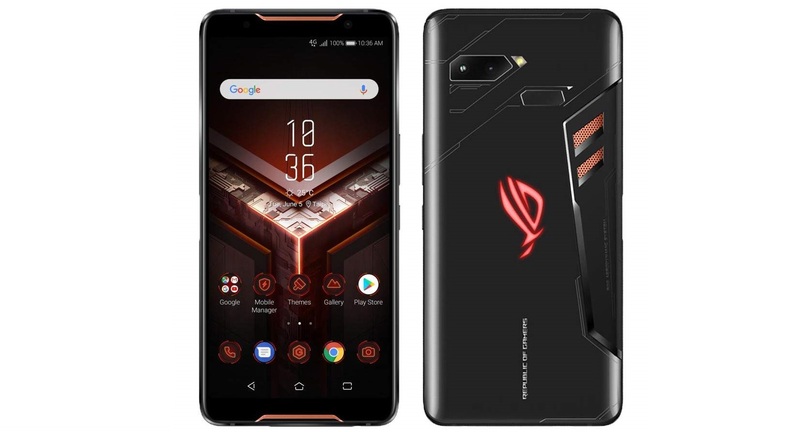 I price checked this ROG Gaming Phone on the 20th April 2019 and found the best price for the ROG Gaming Phone here. What if you do not want a tablet as well as a phone and want an all in one device? Well, there are some gaming phones of the market right now. I actually had a Nokia N-Gage back in the day and thought it sucked, but the PlayStation phone that came out a little while back was pretty good and now Asus has created the ROG Gaming Phone which gives you the functions of a phone, but with a heavy emphasis on gaming as well. Asus has designed this with gaming in mind. It has some pretty high tech cooling so even the more demanding games will not make it get too hot. It has what they call “air triggers” which are great for shooters and will make it feel more like you are playing on a console and they have even used a nice and sharp screen. I think that this is a really interesting device and you if are not sure if you need a dedicated gaming tablet, but still want to game on the go. The Asus ROG Gaming Phone could be just what you need. I price checked this Nintendo Switch on the 20th April 2019 and found the best price for the Nintendo Switch here. You really cannot go wrong with the Nintendo Switch. Yes, this is a dedicated gaming console, but if you are looking at the best gaming on the go, you can get a Nintendo Switch plus some of its best games for far, far less than the latest iPad, Surface Pro or another top of the line gaming tablet and PC/Tablet hybrids. Nintendo has knocked it out of the park with the Nintendo Switch and if you want your gaming on the go to be as close to what it is at home as it can be, you simply cannot beat the Nintendo Switch. You can literally start playing a game at home, pull it out of the dock and continue it on your commute to work or class. Even though the Nintendo Switch is just a couple of years old Nintendo have done a great job in making sure the console is greatly supported with a fantastic line up of software. I really do think that you could make the argument that the Nintendo Switch is better than a gaming tablet. It gives you the ultimate on the go gaming experience. The software is second to none. In just a couple of years, we have had. Super Mario Odyssey, Breath of the Wild, Mario Kart 8 Deluxe, Kirby Star Allies, Skyrim, Doom, Donkey Kong Tropical Freeze, Super Smash Bros Ultimate and many, many more. The Nintendo Switch is currently stacked with software and it looks like it is only going to get better as more and more games are released for it. I know that we are supposed to be talking about gaming tablets and there are some great ones out there. However, I must point out that you could pick up a Nintendo Switch and at least 4 or 5 of the games I have listed for the price of the top tier iPad Pro! It is very hard to just pick a winner of what is the best gaming tablet money can buy. There is no denying that when it comes to an actual tablet that the Apple iPad Pro is the best around. It is very powerful, has an epic screen and it is nice and light. However, it also is very, very expensive. The Surface Pro 6 I feel is the best option if you want a device that is giving you what a tablet gives you but also has all the functionality of a PC. Then you have something like the Nintendo Switch which is a dedicated gaming machine and gives you the bets on the go gaming experience you can currently get. When looking at a gaming tablet, look at what kind of games you like and then if it can actually play them and play them well. This should be the deciding factor when it comes to what kind of device you want for gaming on the go.